Magnificent New Development houses in Arturo Soria. 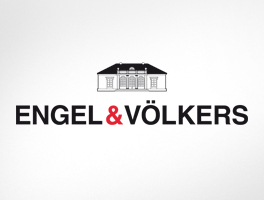 Engel & Völkers offers these apartments exclusively located in the best area of Arturo Soria. The neighborhood of Arturo Soria is located in the urban center and close to all the services that anyone may require, which makes it one of the most desired enclaves for those who want to enjoy tranquility and an exclusive environment, without renouncing the closeness to the services of a big city. The wide avenues and elegant buildings complete this prestigious area. It is an absolutely privileged environment: Parks and quiet avenues allow you to stroll between relaxing silence. Nearby is the Arturo Soria Plaza Shopping Center and the Conde de Orgaz Park, an area where diplomats and artists reside, athletes as Real Madrid players for their proximity to the Santiago Bernabéu and the sports city of Valdebebas. 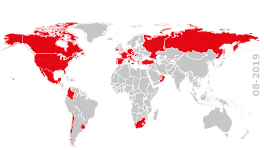 The best national and international educational centers, (Lycée Français, Numont, San José del Parque Los Maristas, Nuestra Señora de Santa Maria, Nuestra Señora de Loreto, International School of Madrid, Stella Maris, Mater Inmaculatta) and Business Schools of reference (ESIC), are in their environment and also have numerous sports and commercial centers. Here you will have perfect communications, being close to the main ring roads of Madrid (M30 and M40), also with quick access to the airport through the M11 and A2.